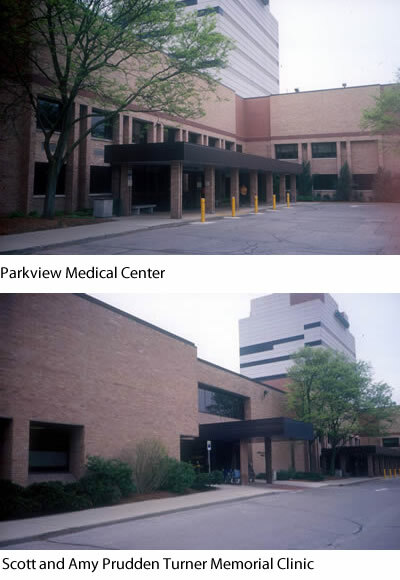 The University of Michigan Hospitals and Health Centers (UMHHC) proposes to demolish the Parkview Medical Center and Scott and Amy Prudden Turner Memorial Clinic buildings. The demolition of these buildings has been in our master plan for several years and is possible because the clinical functions are now housed in the W. K. Kellogg Eye Center and Brehm Tower. The buildings no longer meet the needs of the UMHHC and are not conducive to reuse for clinical or office functions. This project will demolish both buildings, renovate the existing easterly portion of the W. K. Kellogg Eye Center that connects to these buildings, including a new point of entry, and expand the parking lot. The scope of this project includes the architectural, mechanical and electrical work necessary to accomplish these improvements. Although there will be a temporary loss of the spaces in the adjacent parking lot during construction, at project completion there will be a net increase of approximately 75 parking spaces.